After an extensive and in-depth discussion into our site plan submission last night, the Planning Commission unanimously approved the plan. We are excited to move forward, and would like to express our gratitude for the outstanding job done by our architects, Buday Kruzel & Hitz Design, as well as the thorough and thoughtful process conducted by the City of Harbor Springs. 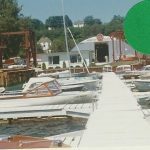 Irish Boat Shop has filed a site plan with the City of Harbor Springs. We are excited about the changes we have made! To view the site plan submission, click here. For more information, please contact Michael Esposito at esposito@irishboatshop.com or Sue Stewart at sistewart@irishboatshop.com. You may also reach them during business hours at 231-526-6225. …When our existing building was constructed, our hoists were smaller and less mobile and we dealt with fewer and smaller boats. 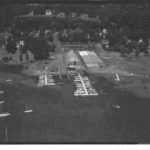 Also since that time, both the Little Traverse Sailors (LTS) and LTYC have grown, which is wonderful, but that growth has added greatly to the traffic, parking, and safety issues involved in operating our marina. Our site redesign will better accommodate current conditions. Operating a business on the waterfront is both a special privilege and a special responsibility. We value that privilege and take our responsibility to boaters, the public, our community, and to our neighbors very seriously. However, we are a business operating on privately owned land. We are seeking to relocate an inefficient, outdated building to a place on our property that better facilitates our current equipment, safety standards, and neighborhood activity. Our intent is to build by right, as we were approved to do under our initial, contested site plan. It is our hope that the Planning Commission will consider the objections raised by our neighbors in the broader context of this community and its future. 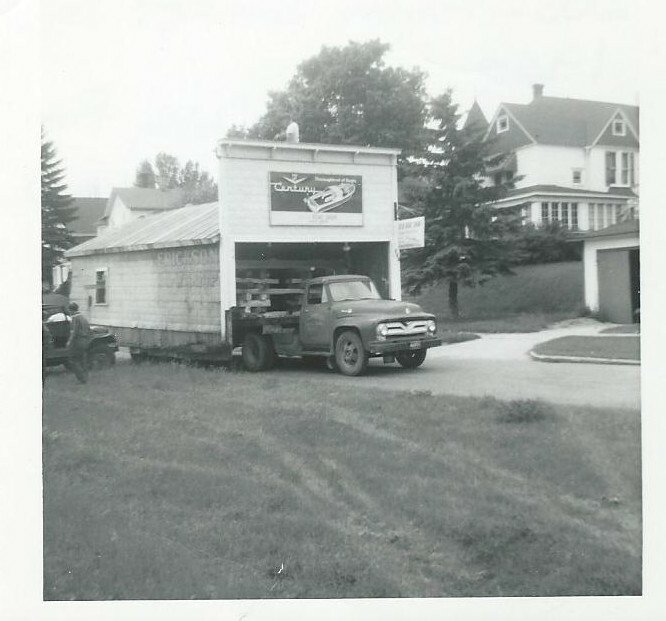 We have been good citizens of the Harbor Springs business community for decades. We are a family­-owned business that provides year-round jobs with benefits and many of our owners and employees also live here, vote here, and serve here. We play by the rules in everything we do. We are not asking for special treatment, only that our property rights are respected. If stopping development becomes as simple as claiming that any change equates to “adverse effects,” Harbor Springs will become a museum piece, not a thriving community with a viable, year-round economy. We truly hope that is not what the Harbor Springs community wants for its future. Hi All, it’s Kate here. As a relatively new employee to Irish and the self-appointed Irish Boat Shop Historian, it’s not uncommon for me to come across a photo or catch a glimpse of a good story that has me making the trek upstairs to Dave Irish’s office, notebook in hand, hoping Dave doesn’t mind me pestering him with questions about the past. He never does, and I’m often walking back down the stairs feeling lucky to work at a company founded by such a humble, knowledgeable man. Yesterday’s walk up the stairs, prompted by his Letter to the Editor in the Harbor Light [see below], was particularly impressive. 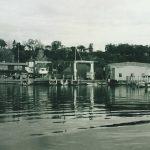 Allow me to share with you the origins of the Little Traverse Yacht Club through the eyes of Dave Irish. 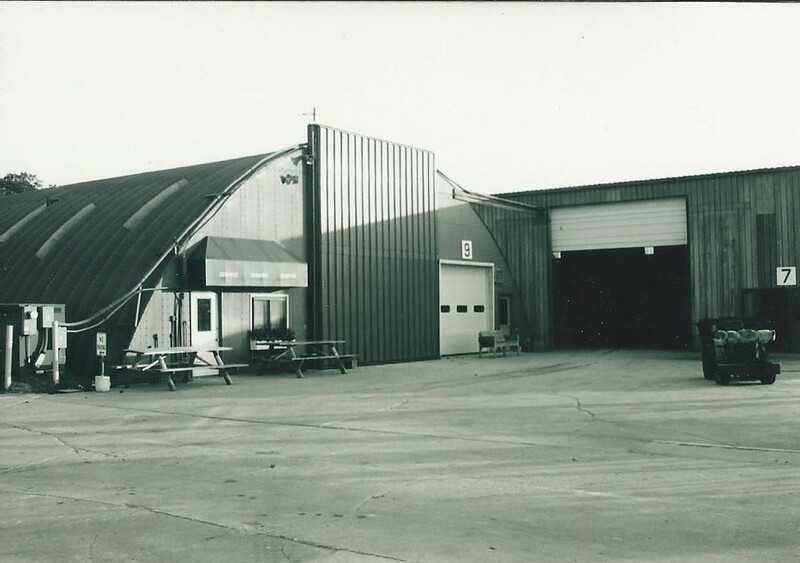 Dave started Irish Boat Shop in 1961 by acquiring the waterfront property on and to the west of Judd Street. 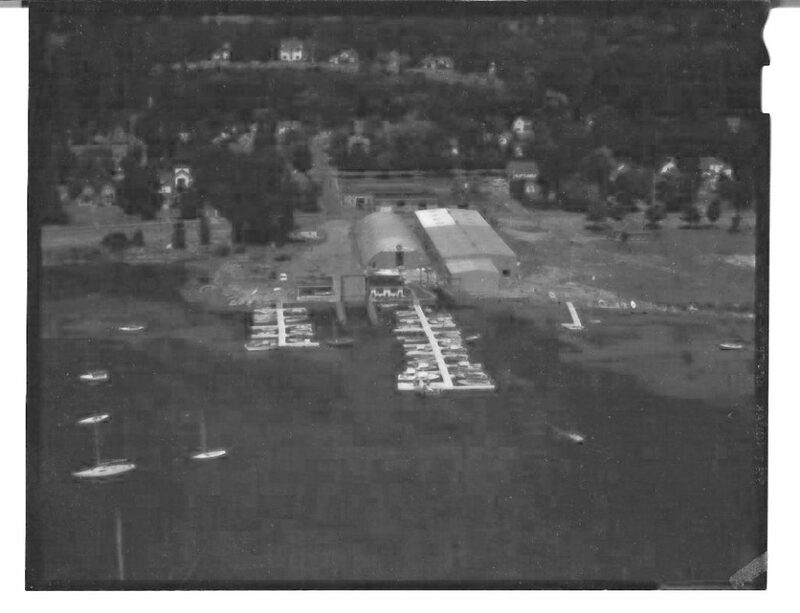 By 1968, he had added two more adjacent pieces of waterfront property to the west, which brings us to the current yacht club building and property. “It was a rooming house and carried on in the tradition of a bed and breakfast,” Dave explained to me. “Three little rooms with a bed, a stand, and a walk down the hallway to the washroom. I made it my business to get to know the couple that owned it, and what do you know, but we became quite good friends. I also told them that when they wanted to sell it, I wanted to buy it. “Ann and I bought the house personally. The boat shop didn’t buy it. And that’s when I spent some serious thinking time to decide what to do about it, particularly in regards to the frontage on the water, and who should own it. It was obviously something the boat shop wanted, and strictly business, I should have rolled it into the boat shop. I’m interested in sailing though, and especially junior sailing. I’ve been teaching sailing since before I knew it was a job! Anyway, as far as I knew, this was the only opportunity in Harbor Springs to buy waterfront property suitable for a sailing community. And after three days of thinking I made the decision, just like that, like one does. This is where the yacht club and the sailing instruction should be. I had to raise the money for it, because the yacht club didn’t have any money, but that was easy. I called around to the older, mature adults that I had met through sailing to raise the money. I didn’t get through the whole list before I had to stop. In just an hour and a half we had raised enough. I had one man, the second one I called, who wanted to buy the whole thing and own it, just me and him, with his money of course. It’s just the way some people want to do things, but I didn’t want that. I didn’t want one person to own it, or the boat shop to own it. I wanted the sailors to own it. Pictured below is Edith Irish kneeling on the dock, and Dave Irish kneeling behind her. Mrs. Irish taught the sailing class. 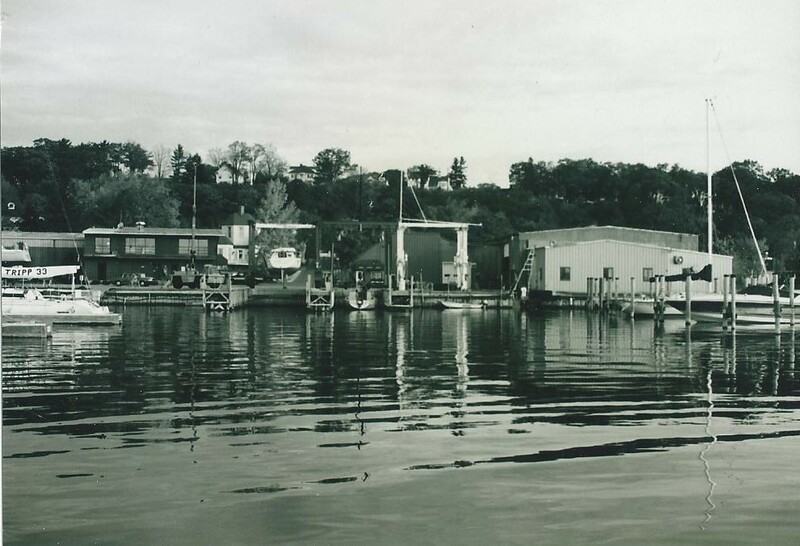 This was taken by Virgil Haynes in 1951, ten years before Dave started Irish Boat Shop. There’s been a lot of talk about the boat shop these days while I’ve been enjoying the busy scene of the boat yard from my office. This fall watching the haul out – it’s like a dance, orchestrated by Jeff Pulaski and his team. I sit up here, and I watch. Now, it feels like the right time to speak about the recent talk surrounding the boat shop, to share my deeper thoughts. I have two pictures hanging on my office wall, one a recent aerial photo of the boat shop; the other a nearly identical perspective of the boat shop in its very early days. Much has changed, often slowly, but one of the most positive changes has been the addition of the sailing school. The waterfront land we originally bought in 1961 to create Irish Boat Shop was on and to the west of Judd Street, directly across Bay Street from the Shay house. A short time later we bought the house next to the hexagon house (379 E Bay), keeping the waterfront land and selling the house. We did the same with the next house (355 E Bay) and its waterfront land; which brings us to the current yacht club building and property. It is interesting to note that for the first 70 years of the yacht club’s existence it was just a group of people who loved sailing and ran the occasional race, with its working “office” a cardboard box on Mrs. Carruthers’ front porch. My life has been about sailing, even more than business. I had a hand in making that property a home for the yacht club and sailing school, which is another story. 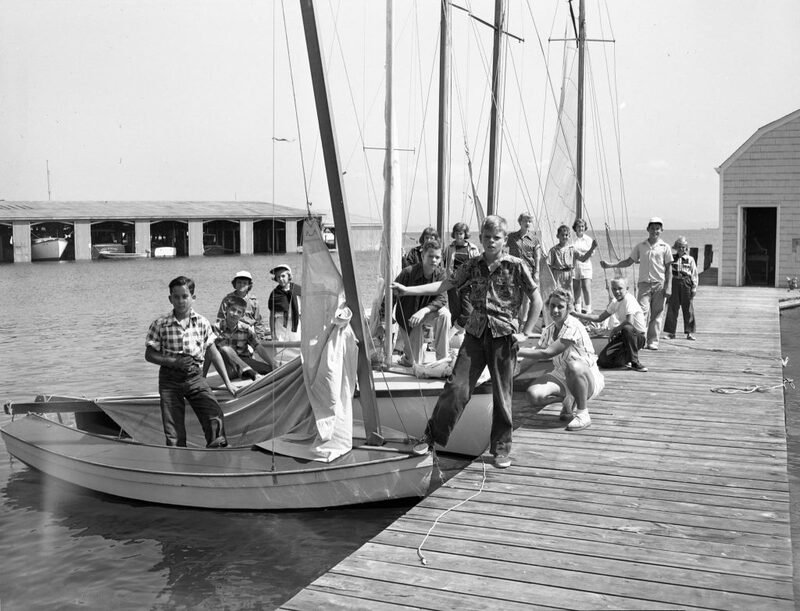 The yacht club, finally having an official home, began to function as a yacht club, running races, kids learning to sail right at the waterfront, hosting social gatherings, and grabbing a beer at the bar. But for all that, I have always considered the priority was and is and should always be teaching the next generation. Being the neighbor and, to some extent, a parent of the yacht club and sailing school, I feel a responsibility for us to help LTYC and LTS fulfill their missions. 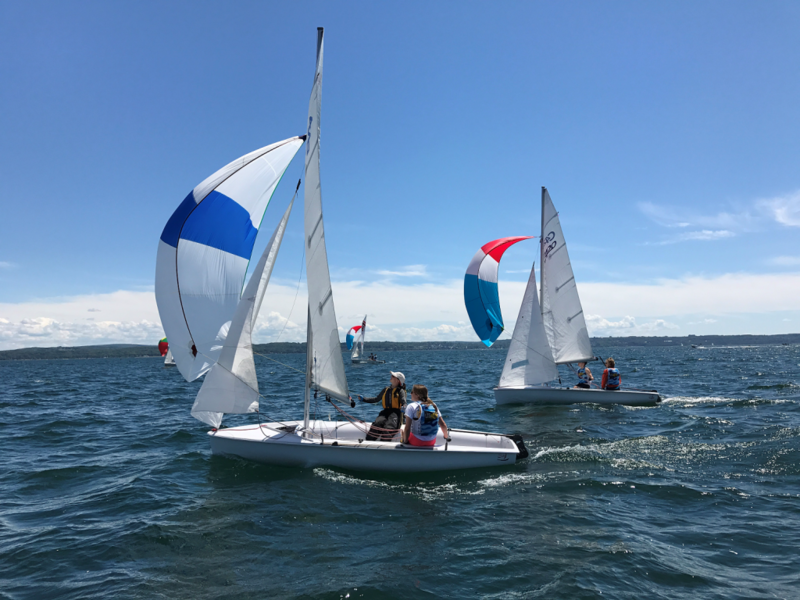 Happily, the sailing program is thriving, and during the summer months, I see kids everywhere; running across our driveways, darting in and out of bathrooms to change into wet suits in the parking lot. It’s grand to watch, but it’s far from ideal. There are a lot of trucks and cars in and out of the yard – it’s constant, which makes the kids moving about in our parking lot and work space worrisome from a safety standpoint. For many years, this has made me unhappy about the yard; you just don’t mix kids and motor vehicles. That brings us to today’s discussions. I have had decades of frustration because the land and the current buildings are not well suited to what we’re trying to do here. What Michael Esposito and his team have done is really to start over on how to get the land to do what we need it to do. The yard has to work for us, so we can move hoists, trucks, trailers, and boats around. It has to be a good place for kids and adults who want to be on the waterfront and play with boats. It should be easy for people to walk or ride their bike to the docks. For the new site plan to separate moving vehicles and power equipment apart from kids and boats, the building needs to move. I don’t have much to say about how the new building will look, but I know the plans are much more attractive than the brown metal building we have now. I suppose I should apologize for making Harbor Springs put up with the old building for almost 50 years. But again, that has never been my priority. It’s all about what people can DO here. I look forward to having a better, safer place to share with our neighbors, the community, and most importantly, the kids. At Irish Boat Shop, the waterfront is our place of business. Since 1961 when we began operations in Harbor Springs, we have both cared for and reshaped the shoreline to serve the needs of our customers. 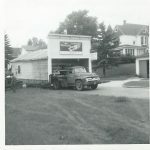 Our first building in Harbor Springs was moved to its waterfront location on the back of a Ford truck through town. 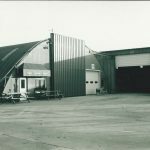 It’s safe to say that Irish Boat Shop and our operations have grown since then, yet we’ve rebuilt facilities only rarely. As seldom as we rebuild, each time we do so we have a long list of problems to solve. Each rebuild is done with the utmost attention to the responsibilities we have to our business, community, and neighbors. Let us walk you through the basis for our rebuilding plans this time around. When we began our work with the design team, Buday+Kruzel, we first assumed that the building would be rebuilt in its current location, and our work yard layout would remain largely unchanged. We thought that was the only practical option. As we worked through our list of problems, though, we were forced to broaden our perspective to include rearranging our entire site. 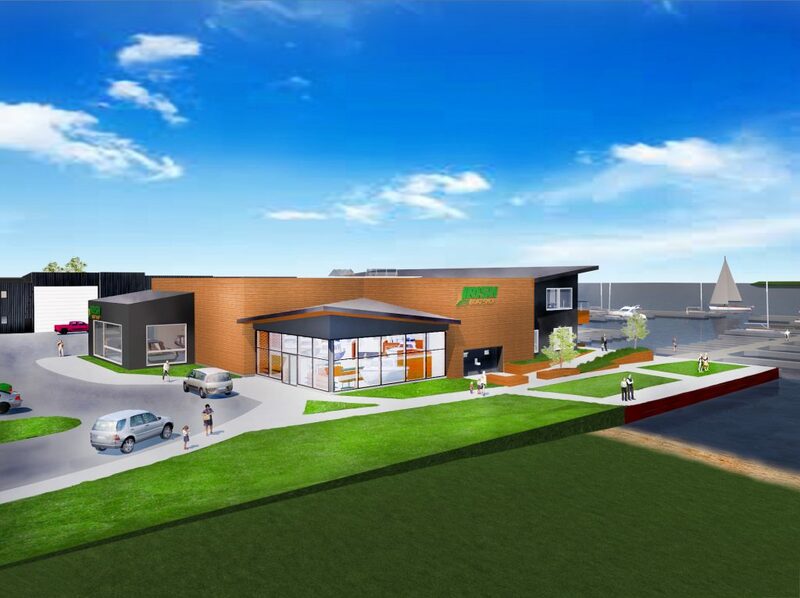 After considering many design iterations, it became clear that addressing safety, traffic, and work flow issues would require a different site configuration, one that includes moving the building to the southwest corner of the property. The way that people and cars move on the site must change, and moving the building facilitates those changes. The issues that drove our site change stem from this community’s love for boating, and the popularity of sailing programs centering around our neighboring sailing school (LTS) and yacht club (LTYC). In the summer, traffic going through our work area presents a serious safety problem. People sight see from their cars while our crew is walking between buildings, moving boats, using power tools, testing engines, and doing all the things we do. Kids from the sailing school next door, both students and instructors, use our restrooms and to do so, they walk between parked cars into an active driveway, often in bare feet. Our plans address this by creating an easy and safe pedestrian link between LTYC, LTS, and our new main building. Sailing school parents currently use our driveway for a drop-off/pick-up zone, which is a problem for our crew’s access. Having our trucks sitting with a boat on a trailer in Bay Street while we urge parents to move out of the way is not a good situation. Our new driveway configuration provides a safe place for people to drive through and drop off and a separate entrance for our work vehicles only. We made it clear to our design team that our new site configuration should contribute to the continuity of the waterfront as a welcoming public space that encourages the public to walk towards the water. Open and accessible to everyone and visible from the main road into Harbor Springs, we have met both the letter and spirit of the Zoning Ordinance and the Master Plan’s intent. We have for years maintained a view easement through Judd Street; by moving our main building we’re able to expand that to the benefit of all. The water view from Shay Park through the easement area will increase by 240% and the view from the Ephraim Shay Historical Site will increase by 290%. Because the proposed building is farther from the road there is a significant net increase in water view to the community, with much smaller reductions to the views of LTYC and a neighboring homeowner. The waterfront/South side of the planned building is designed to be a place where anyone can come and watch the boats. Its wide patio is meant to be a space for all. The view we will have from the new building is a view that serves anyone in the community; we have never excluded or even discouraged public use of our facilities, and that will not change. We would love to see parents sitting on our patio watching the kids rig the boats and sail away. We’d love to have the boating community hang out and see what’s going on in the harbor. That was our intent in providing a public patio, a balcony with easier access, and a boater’s lounge facing the docks. Though our site will change, our core mission will remain the same: we help people have fun with their boats, and provide them a safe and beautiful place to access the lake. 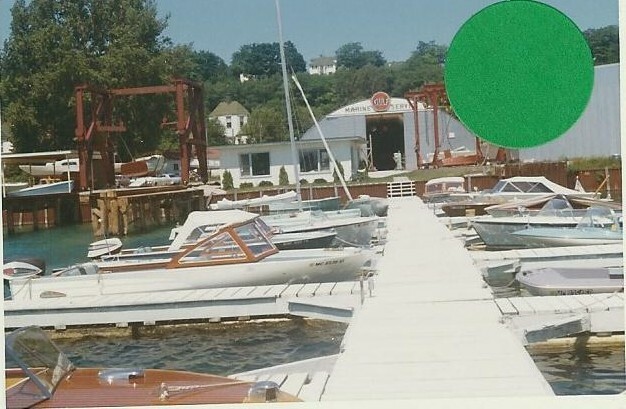 Irish Boat Shop has a long tradition of serving the Harbor Springs community, and we intend to continue that tradition in 2019.